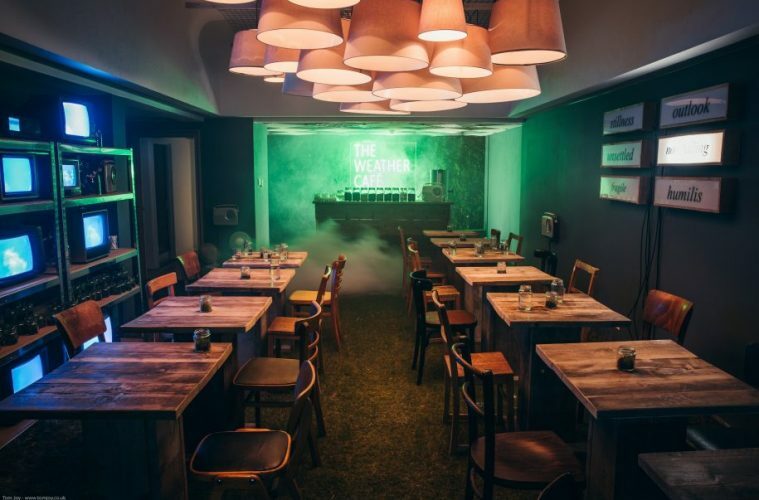 A Leeds-based pop-up café and artwork, The Weather Café, has been fitted with more than 40sqm of real grass. 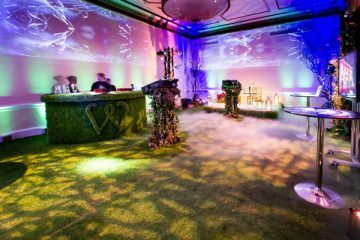 WowGrass, the company that fitted the turf, provides real grass flooring for a range of events including weddings and exhibitions. David Shearing, who designed the café, said: “We’ve had a few busy days with more people coming to see the artwork than we expected, and even groups that wouldn’t necessarily see artwork. “I worked with WowGrass last year on a project, so they were my first choice for this installation. Roger Moore from WowGrass came to the shop to advise us on how to use the real grass surface. The Weathered Café is an immersive installation featuring work from composer James Bulley and creative technologist Daniel Jones. Shearing collaborated with volunteers from Emmaus, a local homelessness charity, on the café in a project funded by Leeds City Council and Leeds Arts Council. WowGrass development manager Caroline Littler said: “We’re delighted to work closely with David Shearing to bring this unique Leeds Arts Council artwork to life.